Worldwide, there are approximately 700 million people who need glasses but don’t have them. Most don’t have health insurance, enough money, and/or access to a doctor. For anyone who wears glasses, imagine what it would be like to go a day without them. 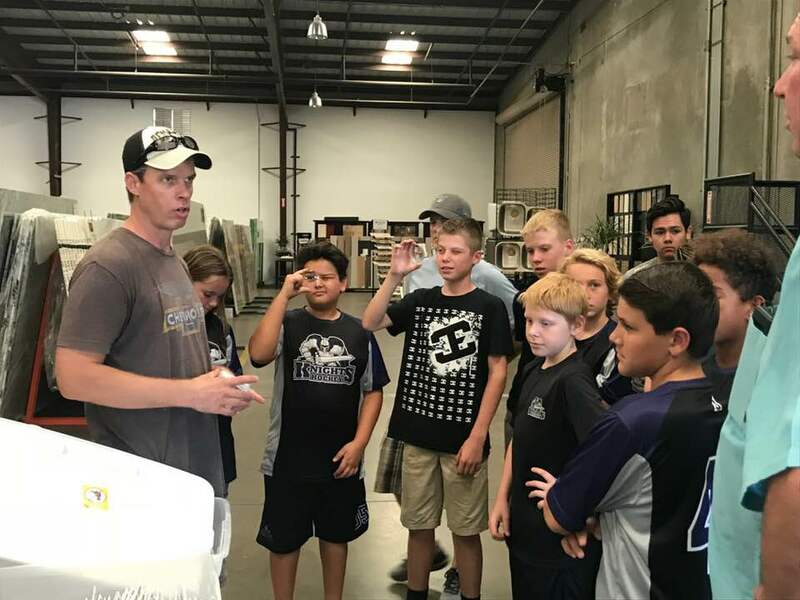 Last month, players and families from Arizona Hockey Union’s Pee Wee Silver team got together to make a difference. 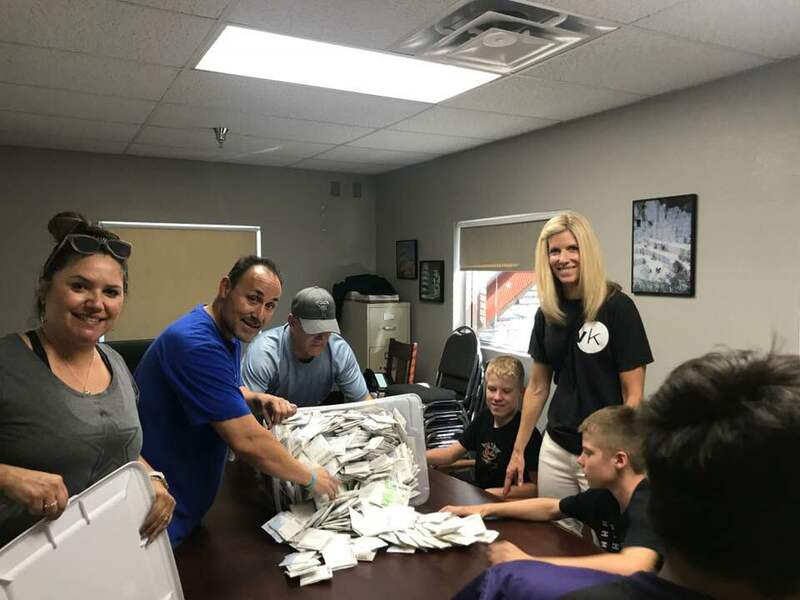 They spent the afternoon in a large warehouse near downtown Chandler sorting and counting thousands of eyeglass lenses to be processed and shipped to Central America. More than 300,000 lenses were donated to VOSH International (Volunteer Optometric Services to Humanity), a non-profit organization dedicated to providing quality eye and vision care to people around the world who are unable to afford or obtain eye care. The team’s goal is to help package the lenses to meet customs requirements so they can be shipped to Central America, enabling VOSH volunteers to conduct free vision screening programs for school children and teachers, and provide glasses for more than 150,000 people who will be able to see clearly for the first time. AHU Pee Wee Silver right wing Jack Welch is very familiar with the project because his great uncle, Dr. Greg Pearl, an optometrist in Los Angeles, chairs the VOSH Corps program, which recruits volunteer optometrists from the U.S. to teach in optometry schools in the developing world. The donated lenses have been stored in Chandler in warehouse space donated by Ed York, a local businessman and active VOSH volunteer. In order to pass shipping customs requirements, the lenses have to be meticulously sorted, labeled, counted and packaged. Volunteers had been working on the project a little bit at a time, but progress was slow. When Dr. Pearl learned that the lenses were in Chandler, he called his nephew in Arizona to explore the possibility of a team community service project. The idea was shared with AHU Pee Wee Silver coach Jeremy Scofield, who presented it to the team. Many of the families have been together for years, noted Scofield, and the great turnout was no surprise. “Our hockey family is a great group of people, and it’s nice to get together for more than just hockey games,” Scofield said. This AHU family proved to be a productive one off the ice, too. During a lens-sorting “test run” in early September, eight people packed 10,940 lenses in two hours. So Scofield rallied the rest of the troops. “What can we do in four hours with 30 people? 40 people? We can be amazing,” he wrote on the team’s Facebook page. 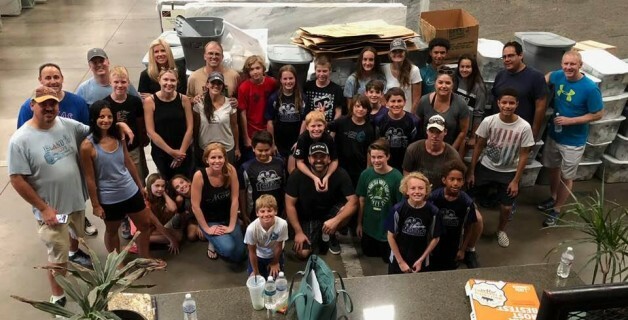 On a Sunday afternoon in September, 31 Pee Wee Silver players and family members showed up to do just that – to be amazing. 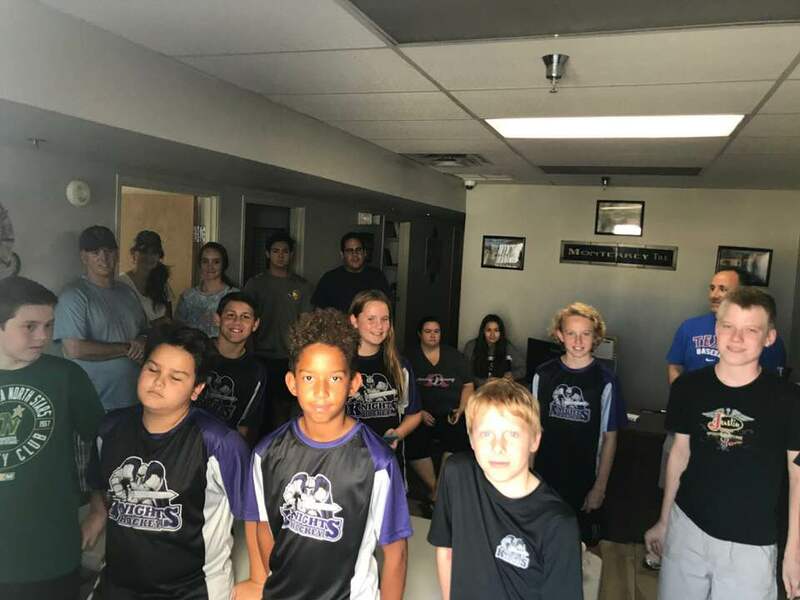 Packing stations were set up inside the office, dads carried heavy boxes in and out of storage and logged numbers, and every volunteer was given a specific assignment to maximize efficiency. A mid-day pizza break gave the team time to let off some steam, and the parents an opportunity to catch up after a summer away from the rink. By the end of the afternoon, the Pee Wees had packed 203 boxes containing 106,731 lenses. Combined with the prior weekend’s trial run that produced 20 boxes containing 10,940 lenses — enough for more than 58,000 pairs of glasses. According to Dr. Pearl, approximately five percent of school children and 40 percent of teachers in developing countries need glasses but don’t have them. Pearl says parents often believe their children are developmentally delayed, but their lives are transformed once they can see clearly. The free screenings also benefit teachers, who are paid low salaries, have no health insurance, and very limited access to doctors. Community service projects provide a rewarding experience and a great reminder for kids and parents alike. We’re all so fortunate and, when we work together, we can give so much back. To learn more about the VOSH organization, visit www.vosh.org.